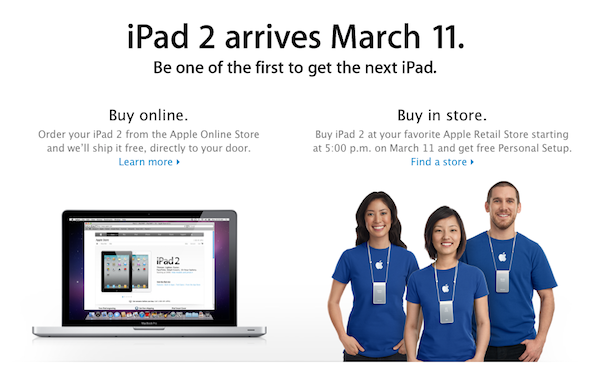 Apple’s CEO Steve Jobs officially unveiled the second generation iPad known simply as the iPad 2. Along with showing off some of the hardware and software specs for the new tablet, he also announced pricing and availability as outlined below. The device will available starting 5 p.m. March 11th in the U.S through the Apple Online Store and Apple retail stores, on carriers AT&T and Verizon. The device will start at $499 (full pricing details below). 26 more countries will get the device on March 25th including the UK, Australia, Austrai, Belgium, Canada, Czech Republich, Denmark, France, Finaland, Greece, Ireland, Germany, Iceland, Japan, Mexico, Hungary, Luxembourg, Portugal, Netherlands, Poland, New Zealand, Norway, Sweden, Spain, and Switzerland. Pricing for the iPad 2 will start at $499 for the base 16GB model with WiFi only. Every other WiFi model jumps up a $100… so $599 for 32GB and $699 for 64 Gb. 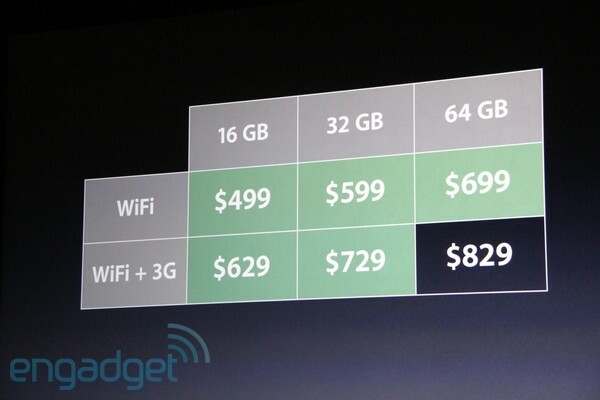 The WiFi+3G model adds a $130.. making them $629 (16BG), $729 (32GB), and $829 (64GB).